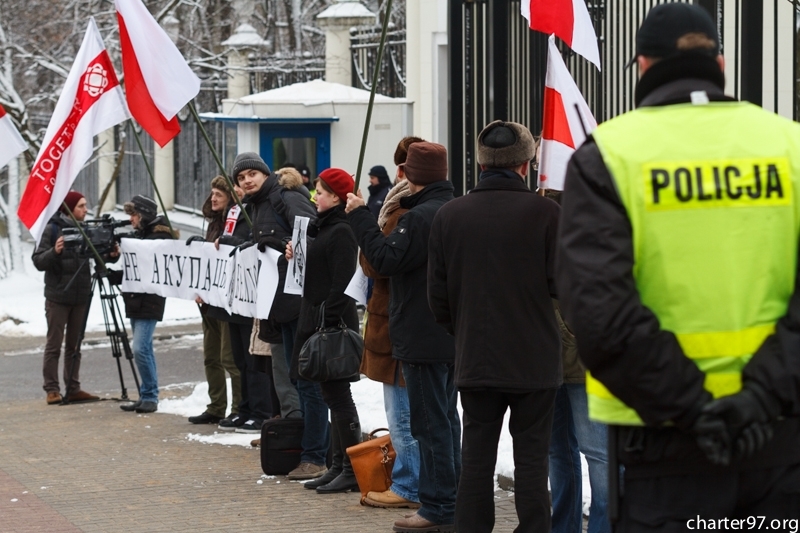 A protest picket was held today in the Polish capital near the Russian embassy. It was organised by Belarusians living in Warsaw and the Polish Freedom and Democracy Foundation. 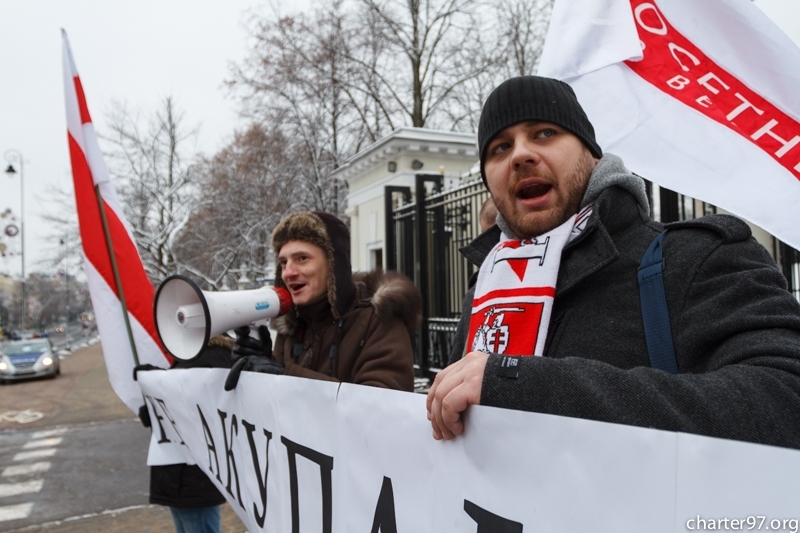 A charter97.org correspondent says about 15 people, among them deputy head of the Freedom and Democracy Foundation, former first secretary of the Polish embassy in Minsk Marek Bucko, took part in the picket. 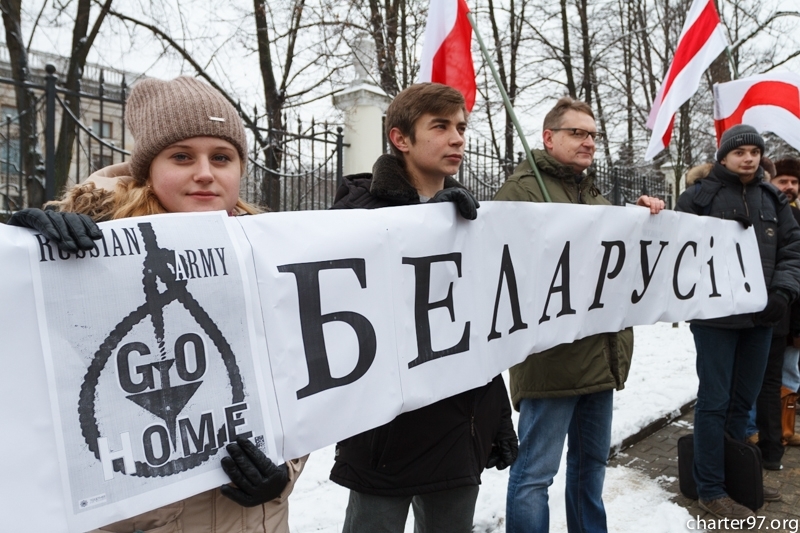 Picketers raised Belarusian national white-red-white flags and posters in Belarusian, English and Polish reading "No to Russian occupation of Belarus", "Russian army, go home", "No to Russian military bases in Belarus". They handed in an appeal to the embassy. "We express our protest over deploying a Russian air base in Belarus. We think this act violates the Constitution of the Republic of Belarus, under which our country is a neutral state. Belarus has been the arena of violent battles for many centuries. Our people lost every forth citizen. We paid a high price for peace and freedom on our land. We don't want to be a toy in someone else's geopolitical games," the appeal says. Russian minister of defence Sergei Shoigu said during a visit to Minsk on April 23, 2012, that Russia planned to deploy a fighter jet regiment in Belarus by 2015. He said it was planned to set up an air force command and control centre in Belarus in 2013 and deploy the first on-duty flight of fighters. The first Su-27 jets arrived at an airport in Baranavichy on December 7. 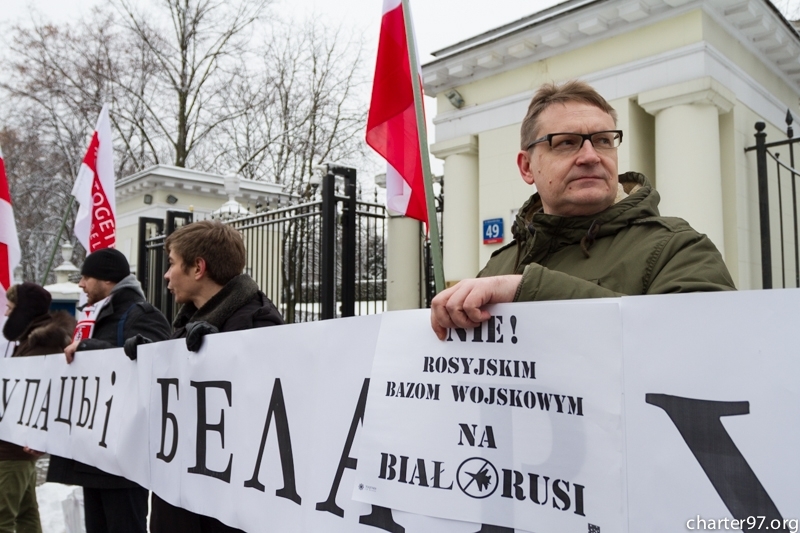 Plans to deploy a Russian air base in Belarus provoked a negative reaction of opposition and a part of Belarusian society.